Cruise lines attract lovers of sun, sea and sights. But another big attraction is good food — both on board and in the destinations visited. In fact, many people would love to go on trips that allow them to explore culinary culture and learn how to prepare local food in the company of experts. 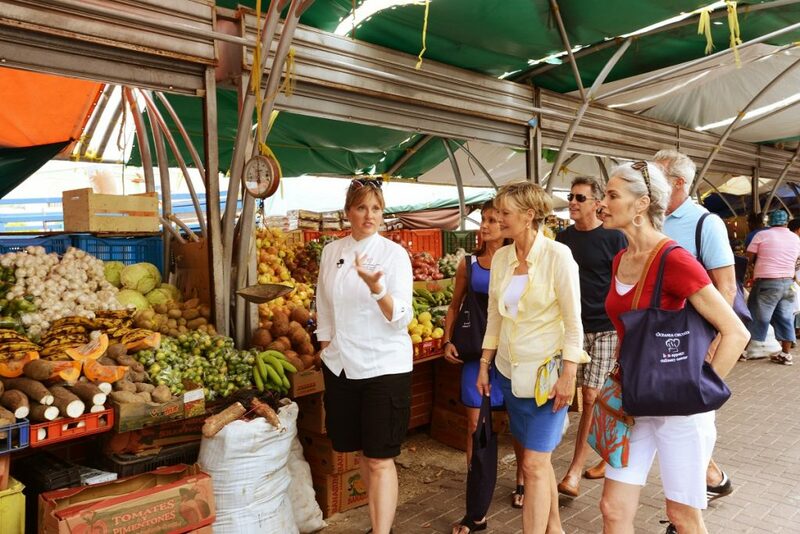 Well, now they can — thanks to Oceania Cruises’ Culinary Discovery Tours™. One of the great pleasures of travelling is having the opportunity to experience first-hand the culinary culture of destinations around the world. That’s what Culinary Discovery Tours™ aims to offer. 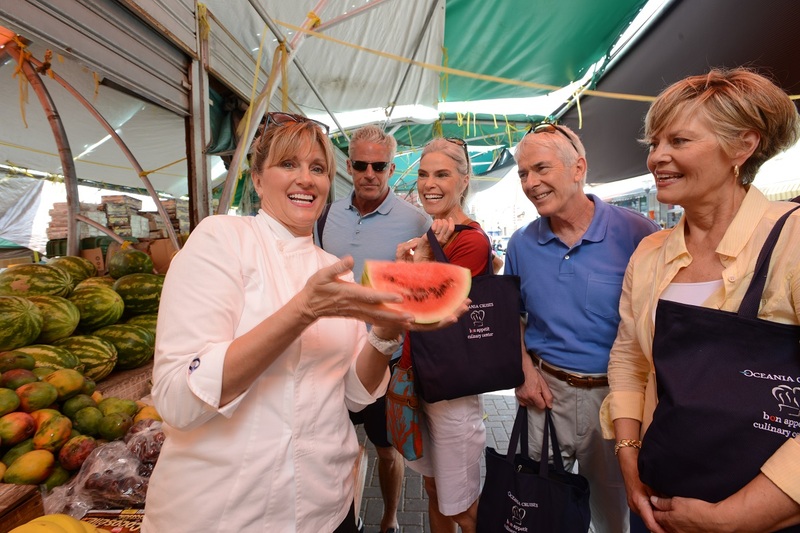 Oceania Cruises has developed a series of voyages focused on helping food lovers to find out more about the food and cuisine of the destinations and how to use local ingredients in amazing, authentic dishes. You can stop off at local markets where you will find colourful produce, fresh fish and exotic spices used in traditional recipes. 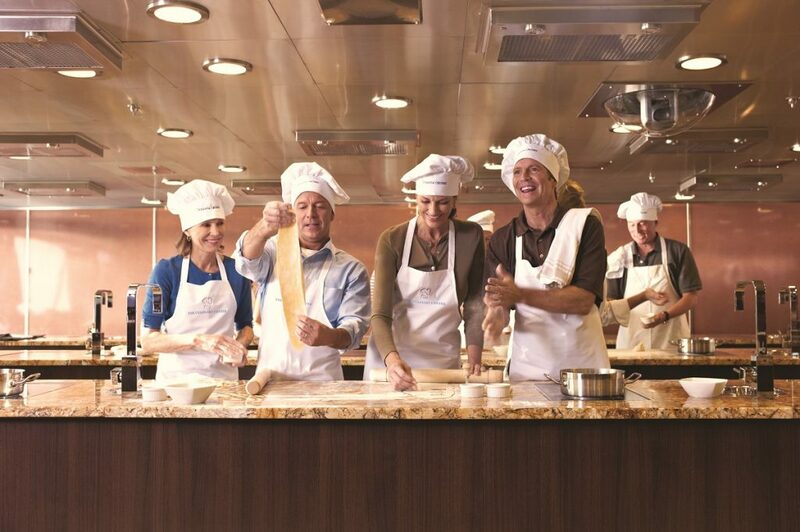 Then, with the help of a master chef, you can use those ingredients, learning techniques in local cooking classes and then honing your skills at The Culinary Centre, the first custom-designed, truly hands-on cooking school at sea. So what can you learn and where? 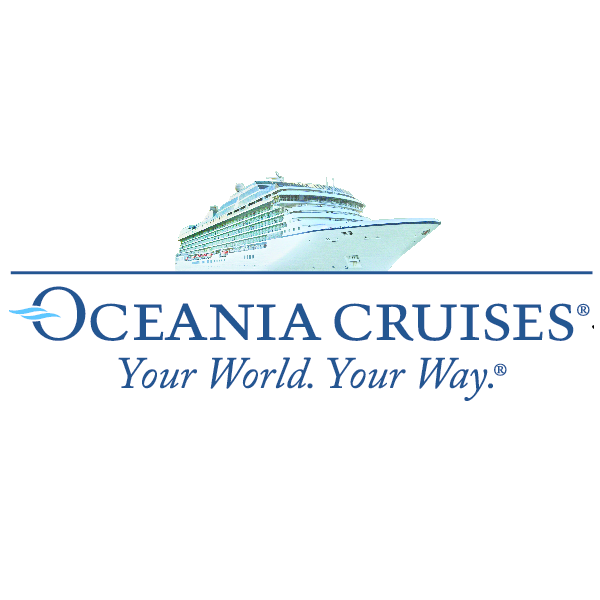 To give you an idea, here are just ten of the places Oceania Cruises visits, with a brief guide to what you can expect from each. In every case, you’ll be helped and guided by a chef from The Culinary Centre. Explore the birthplace of the Mediterranean Diet and learn the secrets behind Cretan cuisine. Visit a traditional village near the mythical birthplace of Zeus that has preserved time-honoured methods of farming and preparing regional dishes. Enjoy an interactive cooking demonstration of authentic Cretan cuisine at the central taverna, and taste local extra virgin olive oils. Later, savour your traditional lunch on a stone patio overlooking a picturesque hillside of olive groves. Visit the colourful and vibrant Mercado San Telmo in central Buenos Aires to explore the selection of tropical fruits – and of course local sausages, such as chorizo and morcilla. Shop for fragrant spices and join local chefs at The Argentine Experience for a cooking lesson and a lunch of modern and traditional Argentine favourites. You will also stop at the Havanna café for some Argentine confections and at Volta ice cream shop, known for its famous dulce de leche ice cream. Discover the subtleties of authentic St. Lucian cuisine during a hands-on cooking class using fresh and seasonal ingredients. As you learn how to prepare several traditional St. Lucian dishes – perhaps including the national dish of green fig and salt fish salad – gain insights into the cuisine’s Creole, French and West Indies influences. Savour your lunch al fresco with beautiful views of the sea before visiting the famous open-air Castries Market, where many of the local ingredients can be found. Pass the famed Mendoubia Gardens on your way to Tangier’s Gran Socco, the central market. Shop for local spices and colourful tagines — a term that applies to traditional Moroccan stews as well as the conical pots in which they are prepared. Your chef will purchase Moroccan spices such as ras el hanout, la kama and za’atar for your afternoon class. Savour harira soup, tagine, couscous, Moroccan Tea and other local specialties during a traditional lunch. Return to the Culinary Centre to master the time-honoured technique of tagine. Travel to the bustling fish market in Niterói and watch as local fishermen bring in their daily catch. The astounding variety of seafood includes octopus, shark, squid and corvina. Next visit Benfica, a historic district in north Rio de Janeiro, where you will taste an assortment of codfish, salted and dried, balled and fried, or added to stew. In the trendy Santa Teresa district, enjoy a Brazilian lunch at Aprazível, a beautiful restaurant set atop a hillside with stunning views. Gain insight into the cuisine of Helsinki by touring the unique and historic local kauppahallo (covered market) and kauppatori (open market) where you will find cured moose meats, reindeer sausage, cured fish and the savoury Lapland cheeses, along with fresh seasonal berries and vegetables. After browsing the markets and gathering the ingredients for your private cooking class, depart on a relaxing panoramic tour of Helsinki. Back on board your vessel, learn techniques for preparing gravlax – the cornerstone of Nordic cuisine – along with other delicacies. You will also partake in a festive tasting of Finlandia vodka. Discover the celebrated open-air seaside market in Nice, known for elegant flowers, photo-perfect fruit and vegetable stalls and quaint cafés. As you browse and sample treats, your Culinary Centre chef will point out favourite vendors and share insights on the regional specialties, such as socca, the popular chickpea crepe. Afterwards, drive to a picturesque medieval village on the sea for an exquisite lunch at a Michelin-starred restaurant in the impressive Chateau Eza. Discover why Liguria is considered one of the true stars of Italian cuisine. Visit a local culinary expert’s famous gourmet shop in Rapallo for tastings of the renowned Ligurian olive oil and other regional treats. Enjoy a guided stroll through a nearby farmers’ market, and learn all about the fragrant Genovese basil and why it’s perfect for pesto. Later, travel to a third generation family restaurant in Recco for an unforgettable pasta-making demo with a true master, followed by a lunch of local specialties and delectable wines. 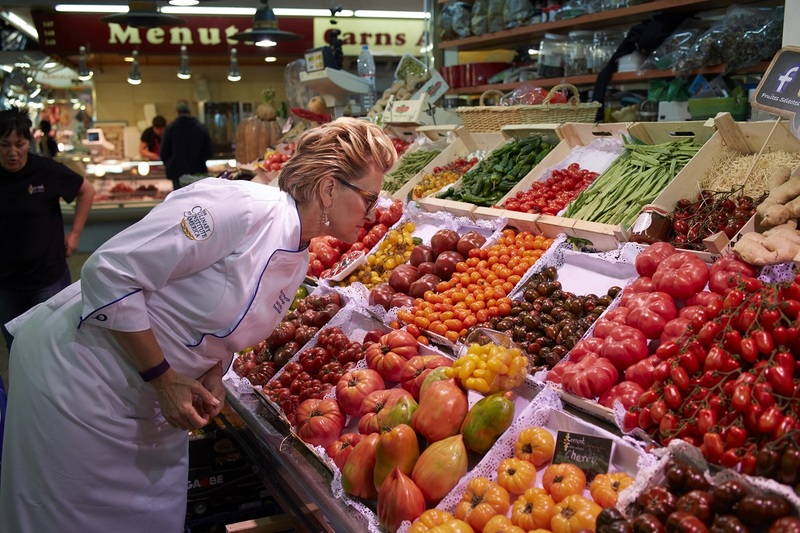 Discover Europe’s largest market and bazaar, Riga Central Market, with a local Latvian chef and your Culinary Centre chef. 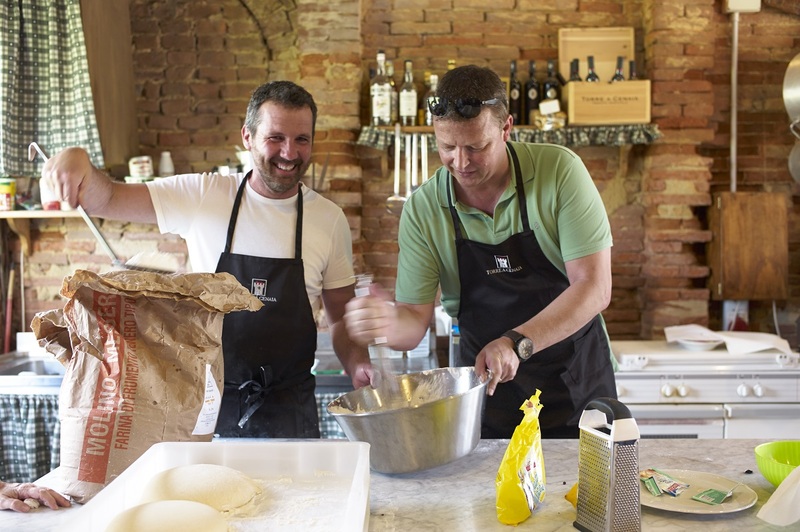 Taste local specialties, shop for ingredients for your Latvian cooking class, and take in the unique atmosphere and architecture of this bustling UNESCO World Heritage site. Enjoy a panoramic tour of the charming city of Riga as you travel to and from the market. Back on board, experience true farm-to-table cooking as you prepare fresh and seasonal dishes, and later enjoy a delicious lunch paired with traditional Latvian beers. Tour Valencia’s magnificently restored Central Market, an ornate-domed structure constructed from iron, glass, marble, stone and ceramic tiles. The sprawling market invites exploration of the nearly 400 stalls, which offer everything from fish, fruits and vegetables to bread, olives and local specialties such as horchata, or tiger nut milk. Later dine on authentic Valencian paella at La Pepica, one of the city’s most famous paella venues. Back on board, you’ll learn to master the art of paella with ingredients freshly purchased from the market.